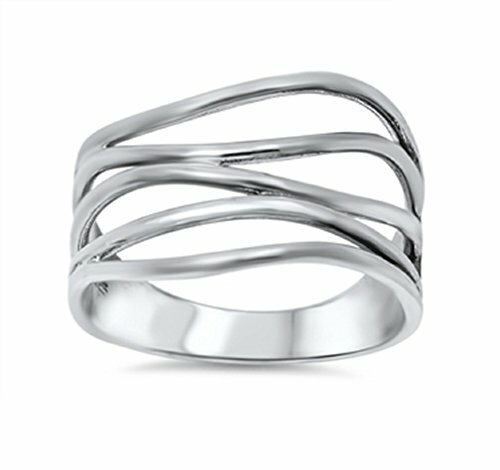 Sterling Silver 925 Crooked Lines Filigree Ring Size 12. Our silver jewelry is made from Sterling Silver. Sterling Silver is a mixture of high-quality 92.5% or higher pure silver with alloys to add strength and ability to withstand time and wear. All our items have a 925 Stamp referring to the Silver Purity that was used when crafted. Please Note: The 925 Stamp location may vary, depends on the item. If you have any questions about this product by CloseoutWarehouse, contact us by completing and submitting the form below. If you are looking for a specif part number, please include it with your message.